Making your own cleaning products is an incredible way to save money and ensure you are dramatically reducing toxins in your home. I use a combination of homemade and store-bought products to clean my house. There are many wonderful environmentally friendly products available to buy, with heightened awareness from savvy consumers environmentally safe and toxin-free products are popping up everywhere. 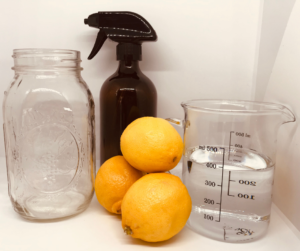 One of the homemade items I use is an all-purpose lemon cleaning spray. It’s simple to make, it’s insanely cost effective and it cleans like a dream! I wanted to share it with you this month because it’s just lovely and I know it works. Lemons, peeled. You will meed enough to fill at least half of your mason jar. White vinegar. Enough to fill up your mason jar, and cover the peels. 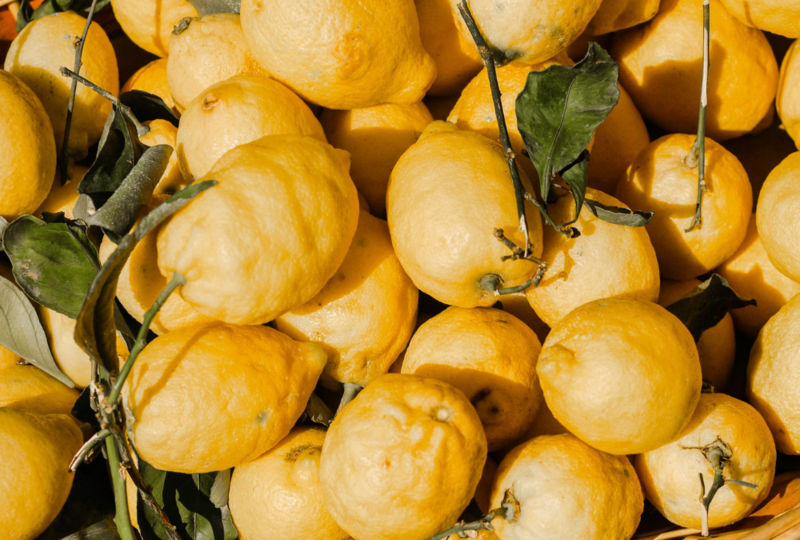 Fill your mason jar with lemon peel. Fill the mason jar with vinegar. Store in a dark cool place for two weeks. Strain your cleaning mixture through the sieve and into your large bowl. Discard the lemon peel. Transfer mixture into your spray bottle and clean away!